It’s time for the tricky-to-buy-for tweens gift guide! Tweens like nothing more than putting their own stamp on their space and what better way is there to do it than by decorating with sublime coloured garlands? 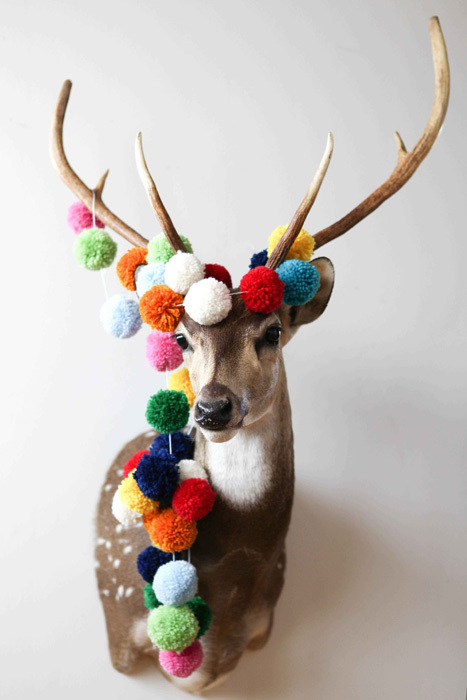 Lilly and Lolly have an amazing range on offer perfect for styling up a bedroom including the amazing Pompom version and the three metre long Little Lamb garland. Lilly Lolly garlands are available in all sorts of marvellous shapes and sizes and priced from $35. Tweens can easily keep their eye on the time with an uber cool Brick Digital Watch. 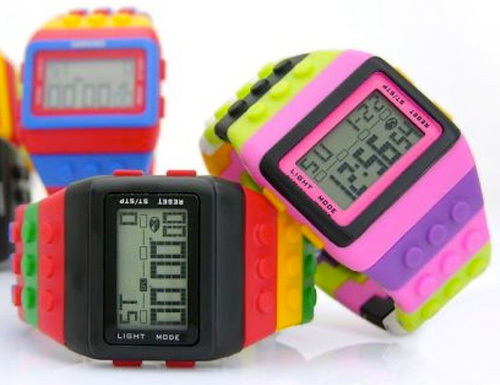 Your Lego loving tween is bound to love these brightly coloured watches, priced $24.95. They’re generously sized so won’t be easily lost in a disorderly bedroom and a concealed metal clasp prevents them from being lost off the wrist! Available in five colour combinations, you can get yours in timely fashion before Christmas from Scallyoop! 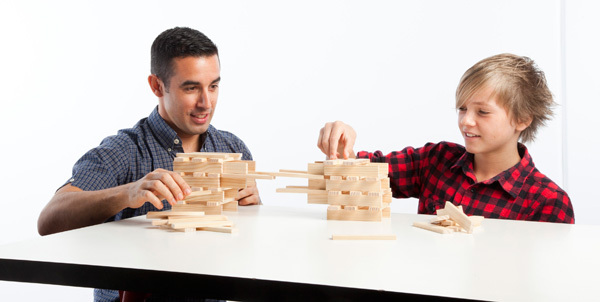 Terribly clever, 200 Planks is the perfect gift for creative minds. A construction block with a difference – all these blocks are identical in size and shape, allowing for the most wonderful of structures to be built – your child’s imagination is the limit! Made from sustainable plantation pine, your tween will be playing with PLANKS for years to come. 200 PLANKS are available from Green Hat Workshop for $99. Girls will adore the Newbies Jewellery Tree to keep all their jewellery and hair accessories in check. Standing at twenty-eight centimetres tall, it’s sure to take pride of place on a dressing table displaying a colourful collection of jewels.This glorious jewellery tree arrives flat packed and all that is required is popping the pieces out and slotting them together. 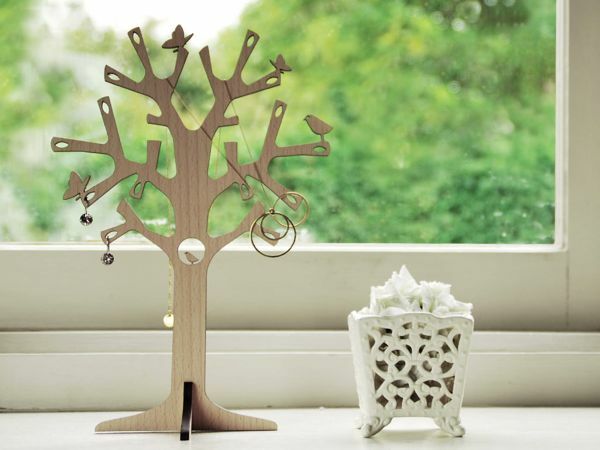 Priced $29.99, the Newbies Jewellery Tree is available from Scallyoop. 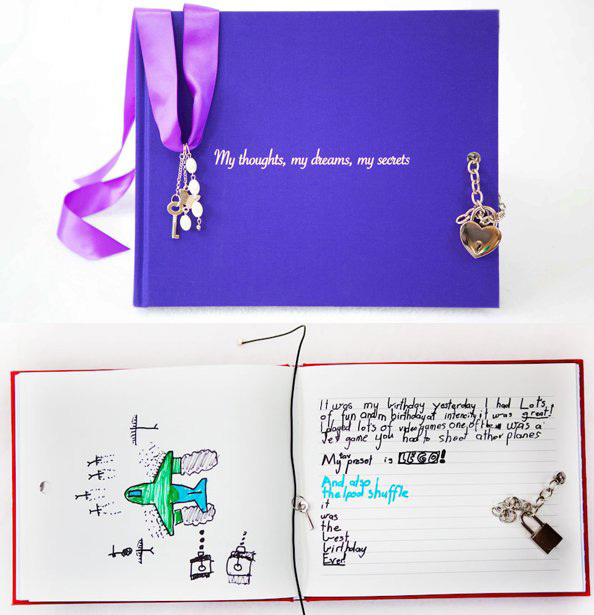 Great for jotting down everyday notes to their wildest dreams in, the My Secret Range of lockable diaries ($36.95) is great for both boys and girls. Fantastic for keeping a journal, scribbling sketches and storing photos of best friends, these diaries from Milestone Press are beautifully bound and with a quality hard cover finish. Giving manicures and pedicures is a great way to spend a few hours and what Junior Miss wouldn’t love a new nail polish or two? Great for both the environment and your health as it’s free of nasty toxins, Kester Black‘s range of super sweet bright and pastel nail polishes colours make for pretty fingertips and toes all summer long. Priced $16 each, polishes are available from Kester Black. 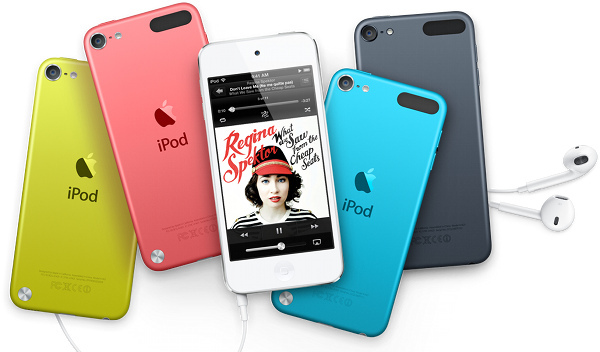 If you haven’t taken the plunge already, the iPod Touch will be a well received gift indeed. The latest release of iPod Touch includes a high-quality five megapixel camera, the famous Siri and e-reader capabilities with the enabling of iBooks and Kindle app. Available from $369 at Apple. Never too old for quality craft gifts, we love the Goose Grease Wooden Peg People kits. Everything you need is included in the kit – wooden dolls, paints, instructions and tips. Tweens can paint their best friends and more! 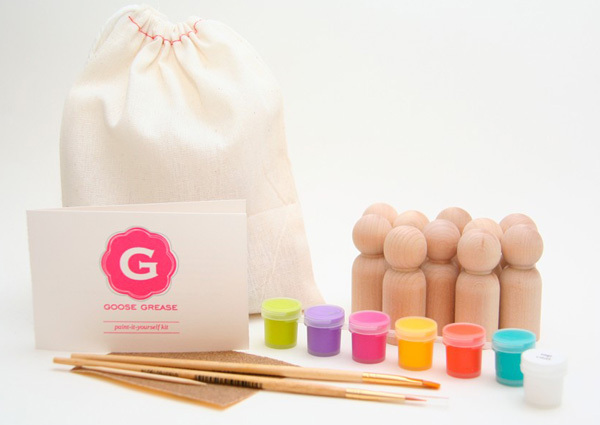 Wooden Peg People Kits are priced from US$14 and available from Goose Grease. Stand by for more Christmas Gift Guide goodness and share with us your tween gift ideas!